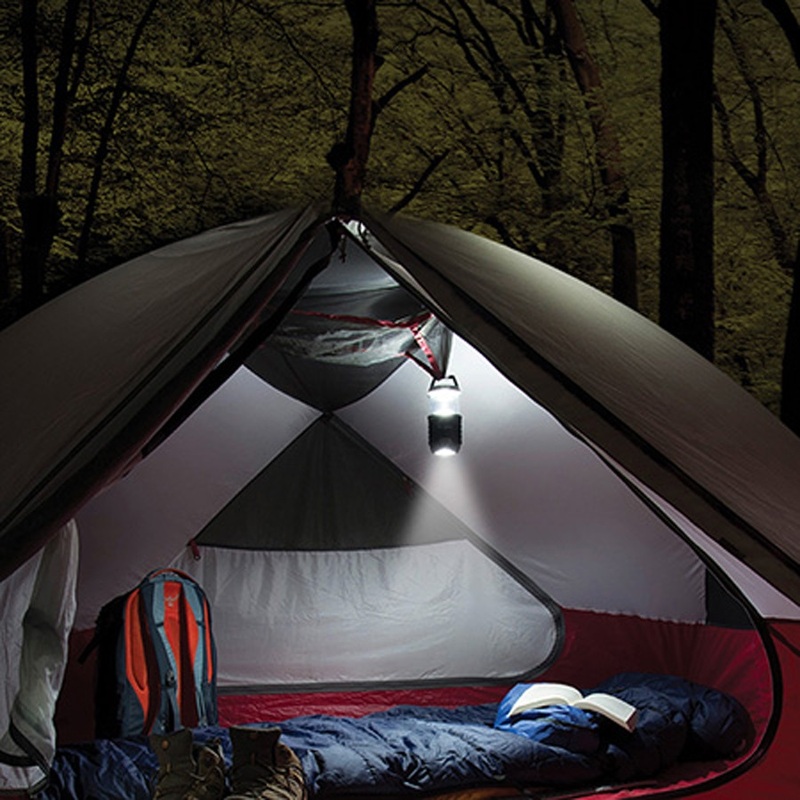 Compact camping and hiking lamp & flashlight combo with collapsible design for travel convenience. 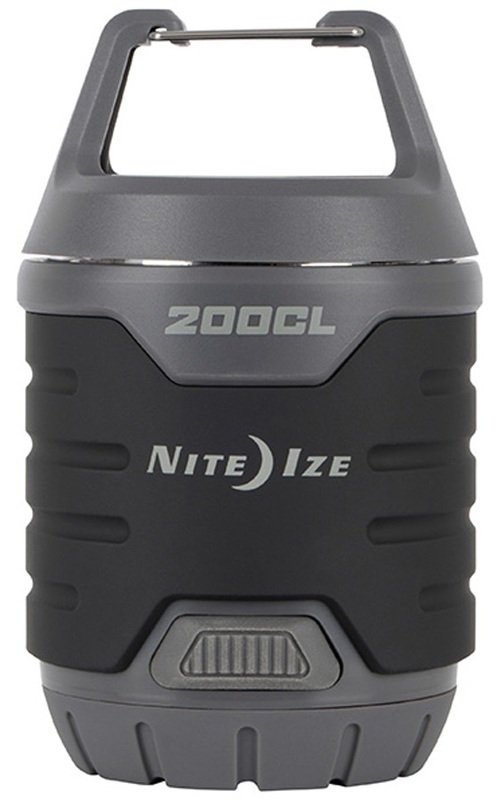 The Nite Ize Radiant 200 Collapsible Lantern delivers 200 lumens of light with a simple sliding design that converts it from a lantern and downlight to a handheld torch. 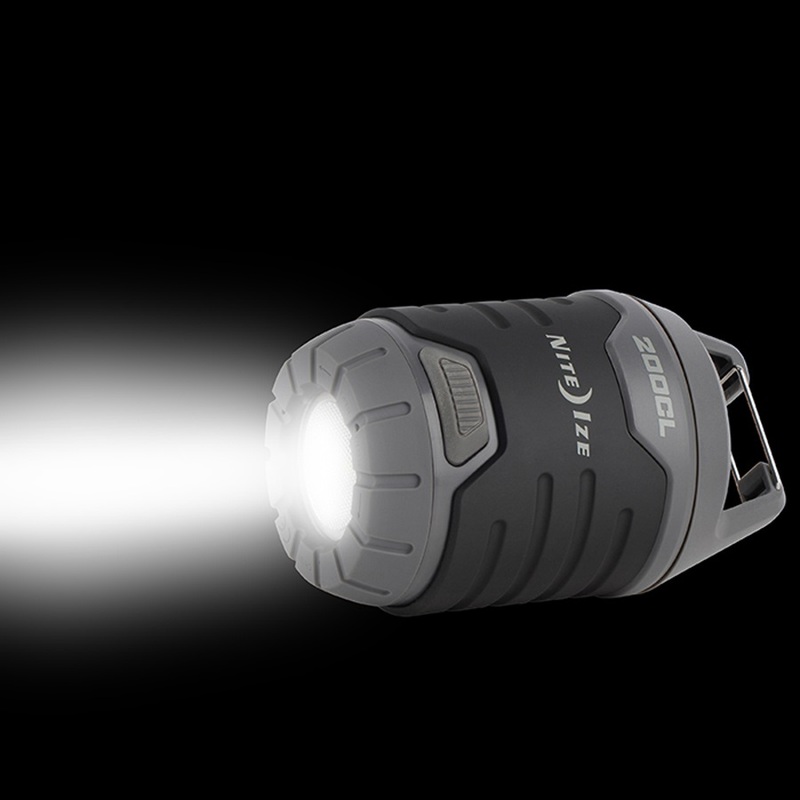 This versatile and great value outdoor light features high and low modes for conserving power alongside a handy carabiner handle to clip, carry or hang to be used as a downlight from tent ceiling toggles. 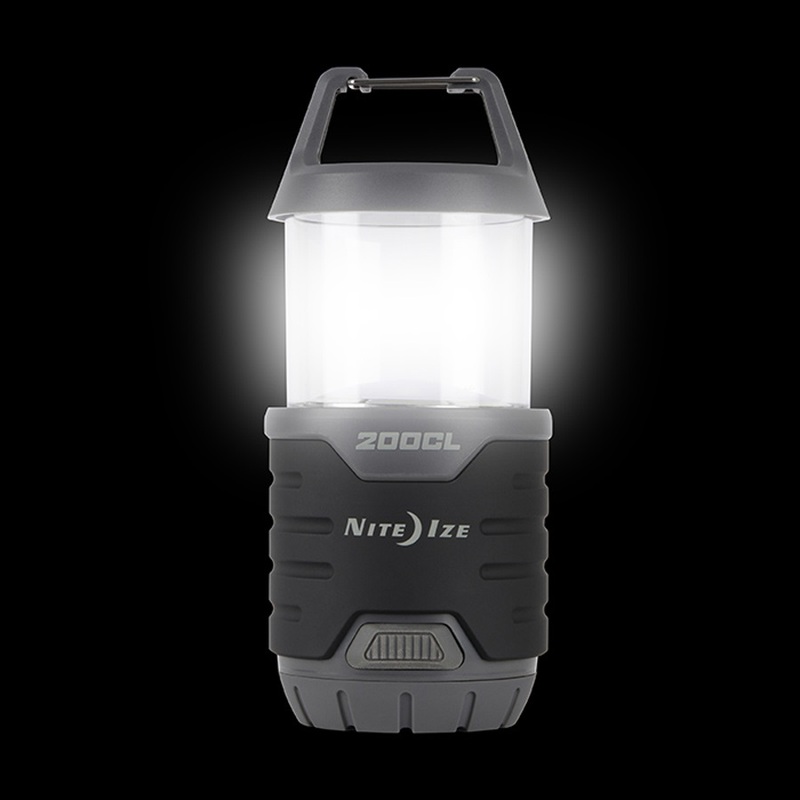 The Radiant 200 Collapsible Lantern is an essential companion to any outdoor adventure from garden gatherings and family weekend camping to group trips and Scout and Guide camps.